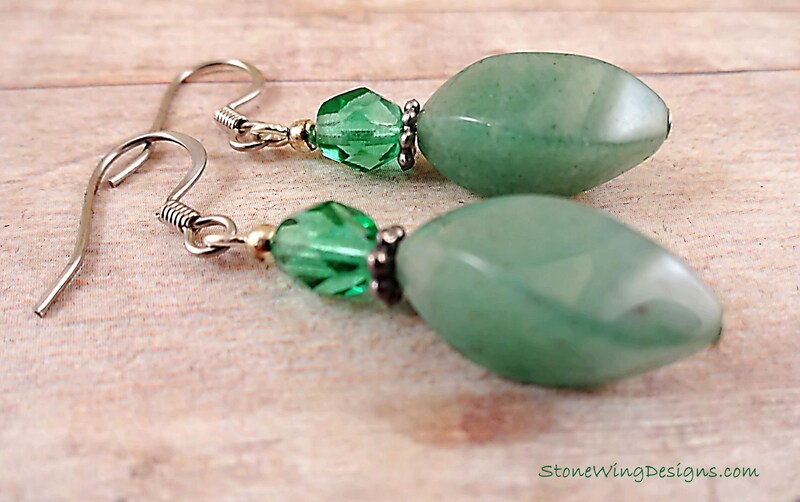 These lovely spring green gemstone earrings with faceted Czech Firepolish crystals are perfect for any occasion. 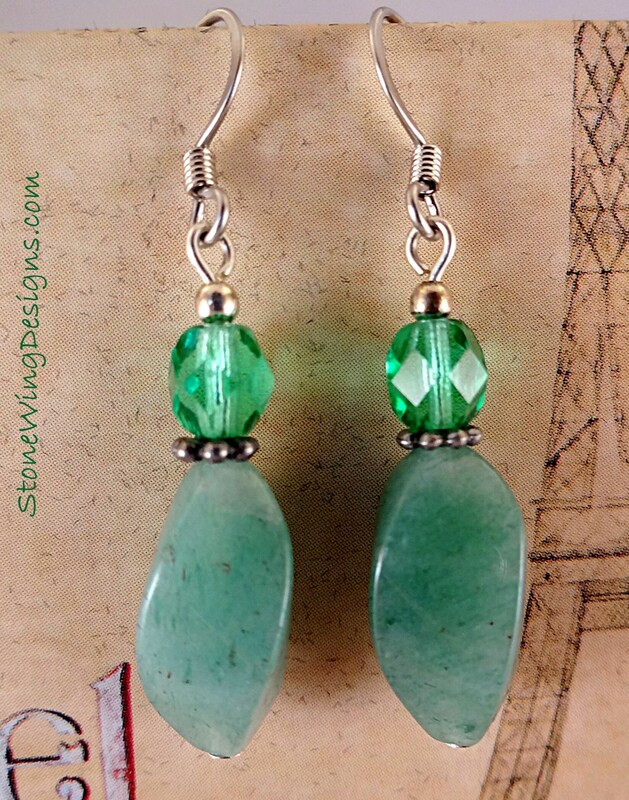 Natural Green Aventurine swirls are topped with 6mm emerald green Czech Firepolish glass crystals. 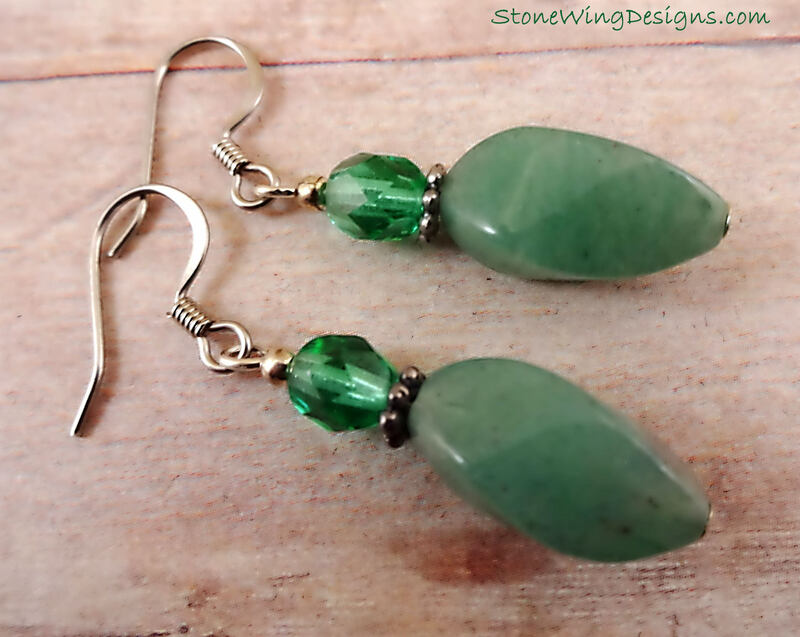 Aventurine contains tiny flecks that give it "aventurescence", hence the name Aventurine. Surgical Steel French hook ear wires are shown. 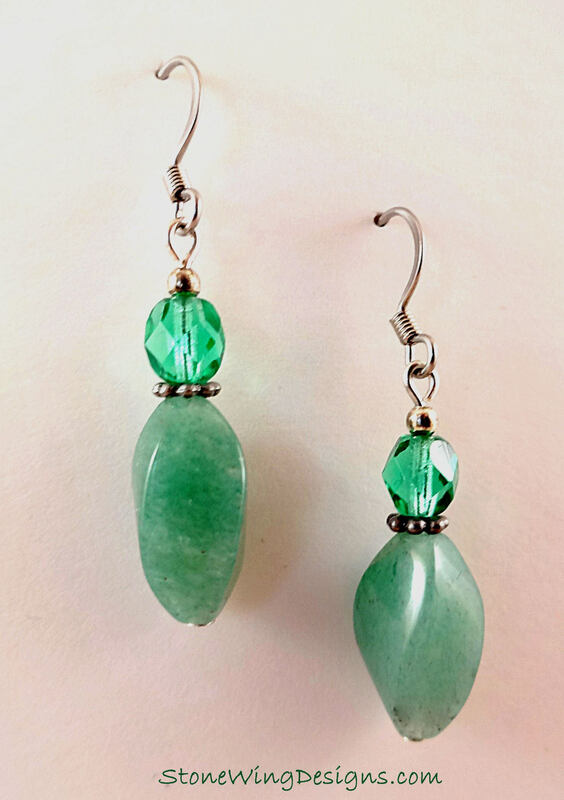 Aventurine is a form of quartz, characterised by its translucency and the presence of platy mineral inclusions that give a shimmering or glistening effect termed aventurescence. 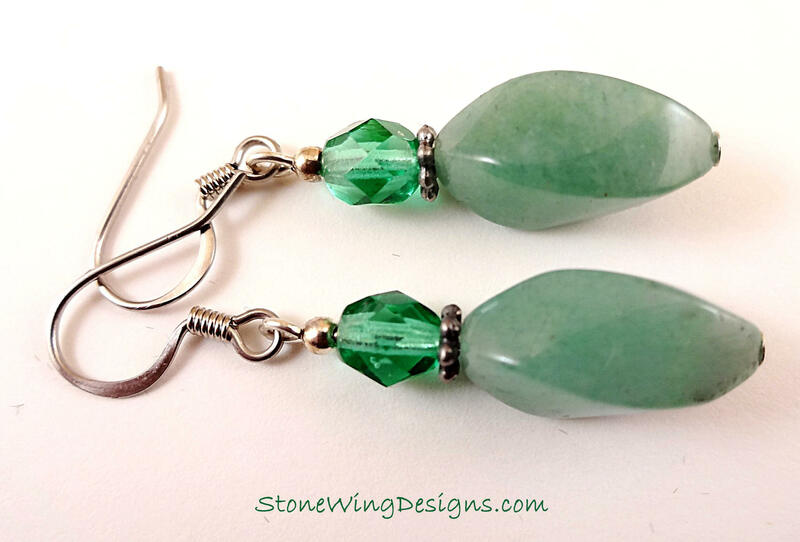 The most common color of aventurine is green, though it also comes in a peachy orange and dark blue.